This is very convenient site. Now this is not a perfect translation, as there are certain bits of code that cannot be accurately converted without human intervention. It is a MUST that you check and recheck your new C# code after you get it. 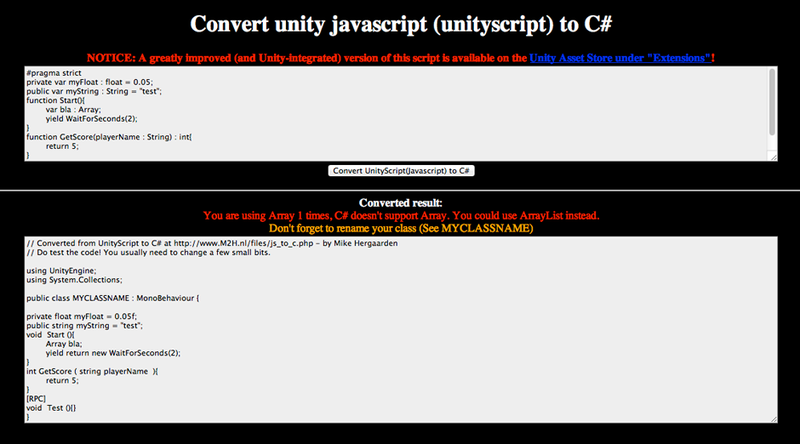 That being said, this site can take the heavy lifting and grunt work out of converting a script from Unity’s JS to C#! The Unity Asset Store now carries not only a JS->C# converter but a C#->JS converter by M2H Game Studios.